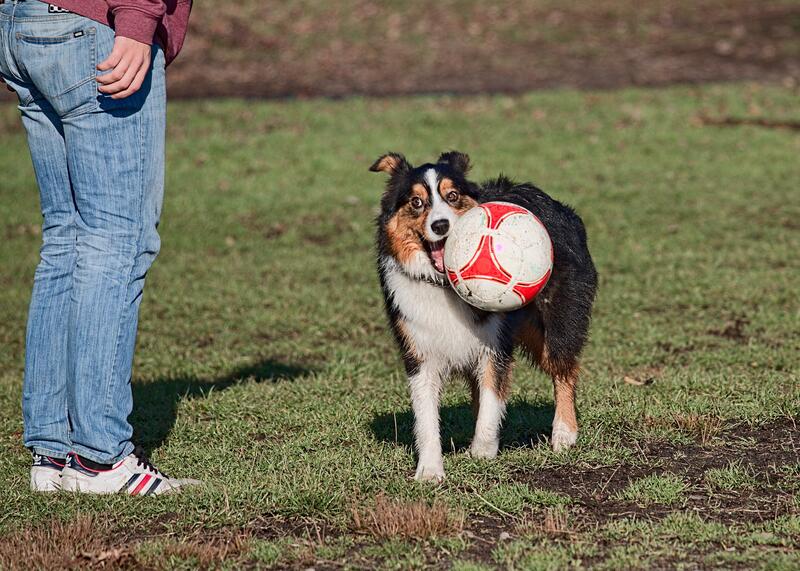 This dog, an Aussie aka an Australian Sheppard, is playing with a soccer ball. The amazing thing is not that he runs after it, but he also carries it. He runs after the soccer ball and somehow manages to lift it can carry it in his mouth. He bites into it. The bite is strong enough to hold and lift the ball but not strong enough to puncture the ball. Amazing. His owner kicks the ball, actually quite far and fairly precise as not to hit anybody in the busy park of Trout Lake. She must have been playing soccer as a younger girl, or maybe she’s still playing or coaching soccer.